The General Store, better known as the G-Store, is the foremost storefront for students and staff on McGill's downtown campus. The G-Store offers a variety of daily-use products such as snacks, beverages, and stationery. Products are sold at zero to low profit, so customers can expect highly competitive prices. Coffee is brewed fresh throughout the day based on demand. For customers that bring their own mug or thermos, the price is $0.75 per fill-up. If a customer does not have their own container, he/she can buy a small coffee for $1 or a large coffee for $1.50. Additionally, customers can purchase tea. The G-Store has tea bags and hot water conveniently located next to the coffee pots. For customers that bring their own mug, the price is $0.50 per fill-up. If a customer does not have their own container, he/she can select any cup size for $1. Customers can also buy pastries to either complement their hot beverage or as a standalone treat. Pastries currently offered include plain croissants, chocolate croissants, almond croissants, danishes, and muffins. In addition to packaged candy and chocolate, the G-Store offers self-serve loose candy. Options range from a variety of gummy candy to coconut-infused chocolate. Candy costs $1.60 per 100 grams. Customers can receive a 10% discount on their candy purchase every Friday as well. The G-Store has a fridge stocked with soda, juice, and milk. Most sodas cost $1, premium beverages like V8 cost $1.25, and milk cartons cost $1.50. The store is stocked with faculty-standard calculators, flash drives, pens, pencils, highlighters, glue, tape, rulers, staplers, geometry sets, and other education essentials. It is best to stop by the store to get a good idea of pricing since pricing varies per item. Departments, clubs, and committees are able to sell patches through the G-Store. Pricing varies based on the patch being sold. Please contact a manager to arrange patch sales for your organization. While clothing sales are not happening at this time, customers can still purchase scarves, t-shirts, and Frosh hats. Scarves cost $15, t-shirts range from $10-$20, and Frosh hats cost $10-$15. The G-Store sells Canadian, US, and international stamps. Prices match those of the post office. 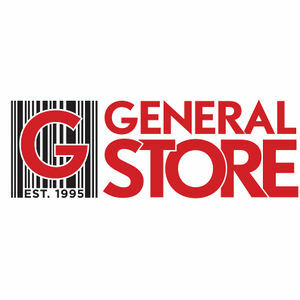 The G-Store offers a variety of benefits to other organizations in the EUS, such as ticket sales, point of sale for merchandise, coffee after hours for meetings, and more. EUS clubs and committees are able to sell tickets and/or offer sign-ups for their respective events at the G-Store. A club/committee must fill out an application form with all the pertinent information. The G-Store collects and tracks the money paid by patrons who sign up for an event. Once the sales period is over, the club/committee receives the money and sign-up sheet. Clubs/committees are allowed to accept payment by cash or card. Sales completed by card have a nominal fee associated with them. As of 2016, the G-Store also accepts debit cards, Visa, and Master Card on purchases over $5.00. The G-Store sends out information on open positions through the EUS Pipeline. Information regarding open positions is usually sent out toward the start or end of each semester. Additionally, the same information can be found on the Facebook page. This page was last edited on 10 May 2018, at 01:03.